I never knew what to say or how to treat others who were diagnosed with a serious illness. I tried to think about how I’d want to be treated, but nothing prepared me for when my turn came—breast cancer, diagnosed at stage IV. Blew my mind about who came around, who said what ‘odd’ things to me, and who disappeared from my life. The vanishing act began with my employer. Yikes! The career I spent so many years building pushed out on disability. Able to work part-time and keep clients happy, but no. “. . . Stay away and get well,” the CEO said. “No, Roni, we want you to get well.” Code for: We aren’t going to pay you for part-time work over that disability insurance check that you get each week. Didn’t have to read between the lines on that comment, learned off the record the real deal. Better to disappear than say something stupid? For me, the answer is No. Really? I agreed with her. Didn’t hear from her again for well over a year. I got home from round two of chemo and a dozen flowers were on my porch. A client sent them. Made me happy. After the next round of chemo, another client sent a box of hats. Surprises were nice. On one of my worst days ever, the women’s networking group sent me a quilt they’d made. Gave me tears of joy. Cards came from people I didn’t know real well, arrived sporadically—I enjoyed each one. Any small token helped me on that unwanted journey. I tried to work out, stay healthy. I got a text message from a close friend, something about chemo being no excuse to miss Boot Camp workouts. Humor is always welcome in my life—this silly little text made me smile. “We can’t leave you alone. You left the burner on.” Oops, that I did. My mother sat through every round of chemo during the first six sessions. Knitting, talking, sleeping, chatting with others, always lifted my spirits. My stepdad went grocery shopping for me, insisted I give him a list—loved this. My stepmother brought vitamins, showed up and took over my kitchen—more than once. Pushy! Cooked greens, healthy things. She didn’t know what else to do, so she raised money and did all the walks (still does, makes me join her now). Dad brought me books about nutrition—keeping the cancer away. My brother, the artist, finally gave up one of his paintings. To be fair, I refused most help. I wanted to be alone. The achy crappy way that chemo made me feel, like the worst flu you can ever imagine—made me want to sleep. Solitude. But when people insisted, I let them. My love of almost nine years couldn’t handle the pressure. I drove myself to the follow-up across town the day after the surgery. Didn’t want to ask anyone to drive me. That could have been a disaster from all the pain meds! What the hell, I tell myself now. Daily radiation—34 days—intense, forty-five minutes on the table every day. My skin on my neck cracked. Then my world cracked. The relationship fell apart. Gone. Shocked me. I still wouldn’t let anybody help me. With some people, you must insist. Looking at this now, I appreciated the thoughtful gestures. When I went into hiding, people found a way. For that, I’m grateful. I read my journal and applaud the brave souls in my life who dared to reach out. Good, bad, or indifferent—I enjoyed any form of communication. About the lollapaloozas: I know that I’m on the bottom of that person’s list because she thinks highly of me, my life style, my health. Also, if you’re going to get cancer, breast cancer is where the research money goes. 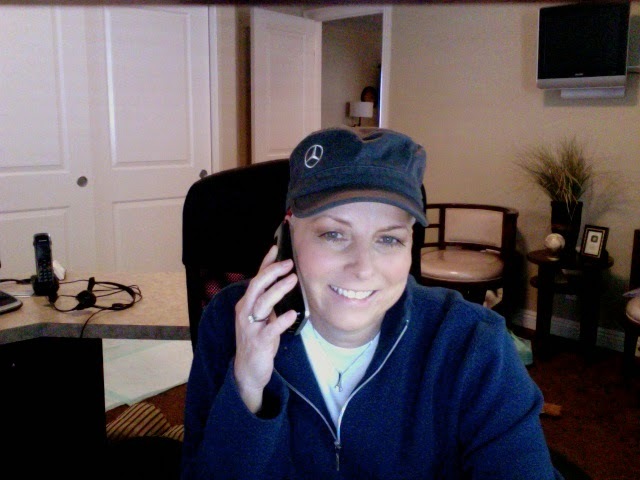 Herceptin put me in remission. Stage V? Well let’s say that puts the urgency in life—I made the decision to get the most out of my time left—over that comment (thank you). And the list goes on. . . When your intentions are good, I believe you can say anything you want—even good-bye.